OMG You Could Win A Google Pixel XL – How Awesome Would That Be?? For a limited time, you have the opportunity to enter a giveaway for a chance to win a FREE phone! 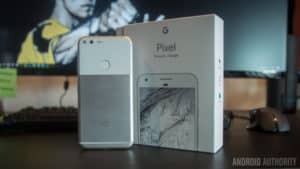 The phone being giveaway is not just any phone; it is a Google Pixel XL. If you enter on or before Saturday, February 18 you could win this incredible giveaway from Android Authority! Be sure to follow the directions for your chance to win this awesome Google phone!